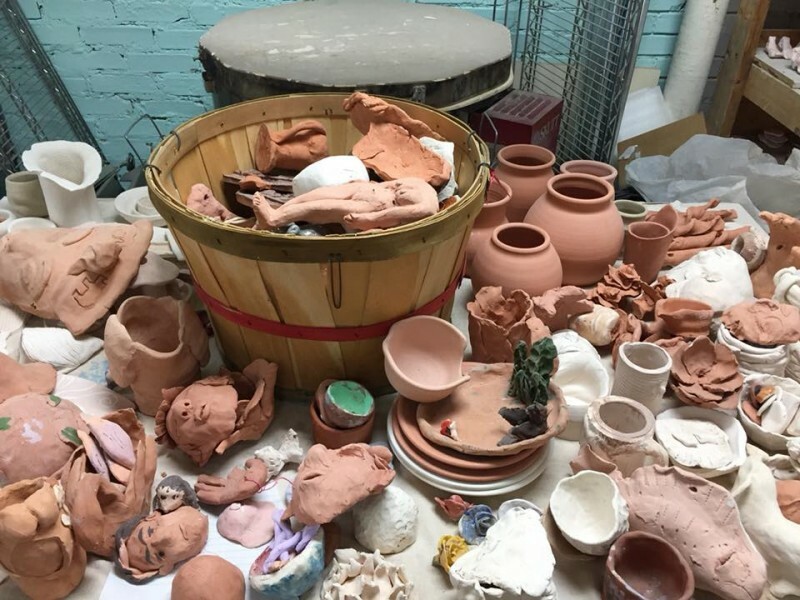 On July 6, from 6-9 p.m. we will share an opportunity for visitors to buy pottery and learn more about the Heartside Clay Studio. Heartside Art Gallery and Studio will be transformed into a Heartside Clay Studio Artists Market for the evening. Through the Heartside Clay Studio, Heartside artists create pieces while learning various clay techniques such as hand building, potter’s wheel, applying glazes and stains. Heartside clay studio volunteers enjoy showing Heartside artists' safe ways to use the kiln during the firing process. The ceramics studio is located in the downstairs of Heartside Ministry. Heartside Clay Studio has been a big heart in Heartside Ministry. 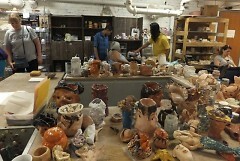 In the early 90s, Heartside artist Bertha Zamora began creating her first ceramics collection in Heartside Clay Studio. Bertha worked in the fields and in a Laundomat in Texas when she was growing up. She was homeless for a while, but now has her own place; she sees no chance of going back. Bertha mainly sews and makes pottery, she says that keeps her young. Heartside Clay Studio now has over 15 volunteers and a very active Facebook Group. 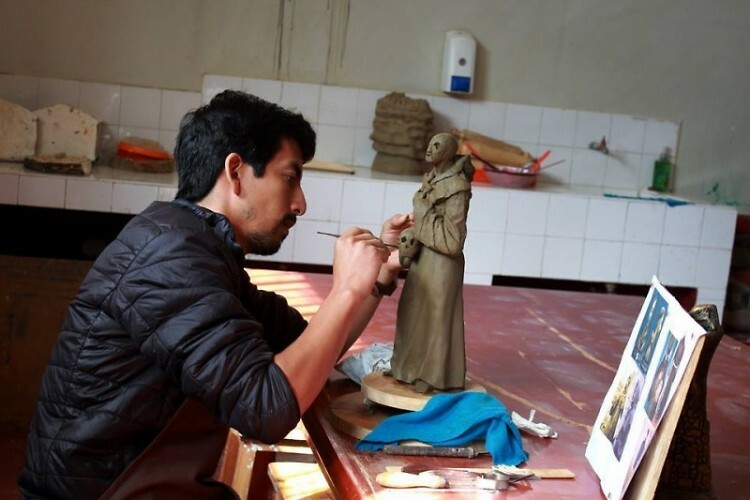 Oscar Ubillus is a Master Potter from Peru and enjoys volunteering as an instructor in the Heartside Clay Studio for the past two years. 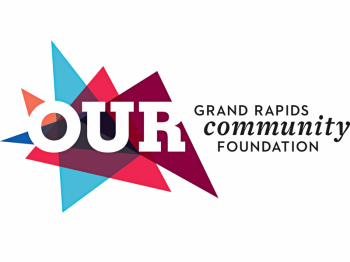 We are excited to announce we will be focusing on Heartside Clay Studio next Avenue for the Arts First Friday's on July 6, 2018! 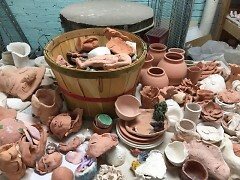 From 6-9 p.m. we will share an opportunity for visitors to buy pottery and learn more about the Heartside Clay Studio. Heartside Art Gallery and Studio will be transformed into a Heartside Clay Studio Artists Market for the evening.